Led by BJP state vice-president Jayprakash Majumdar and senior party leader Mukul Roy, the delegation had to wait for some time at the state secretariat till an official received the letters. KOLKATA: A Bharatiya Janata Party delegation submitted letters to the West Bengal government on Saturday, stating its readiness to join discussions over its 'rath yatra' as directed by the Calcutta High Court a day ago. Led by BJP state vice-president Jayprakash Majumdar and senior party leader Mukul Roy, the delegation had to wait for some time at the state secretariat till an official received the letters, which were addressed to the officials mentioned by the high court on Friday. "We have said in the letters that the BJP is ready to join the discussion in an hour's notice on any time within December 12 (Wednesday) as directed by the Calcutta High Court," Majumdar told PTI. The high court had on Friday came down heavily on the government for not responding to BJP's letters seeking permission for its 'rath yatras' in the state and directed top officials to take a decision on the processions by December 14. "We have informed the state government that we are ready for discussion on the 'rath yatra' issue. The situation is that the state government is not capable of maintaining law and order. Also, there is no democracy in the state," Roy alleged. 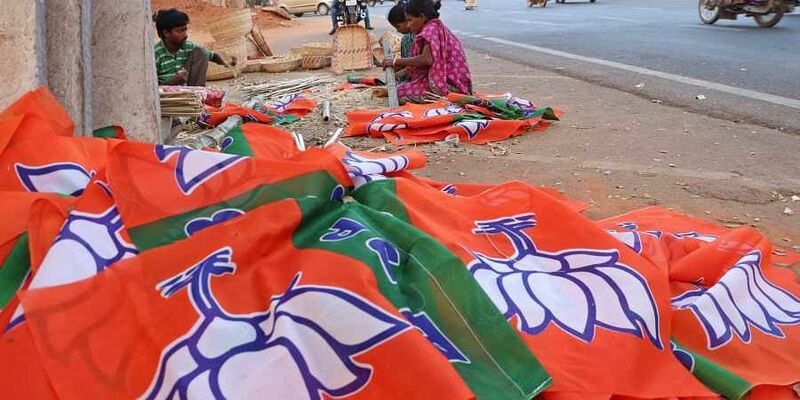 The 'rath yatra' in Cooch Behar district was slated to be the first of the three by the BJP before the Lok Sabha polls next year. The other two were to be held on December 9 from Kakdwip in South 24 Parganas district and on December 14 from Tarapith temple in Birbhum district.